Most Marist College affiliated restaurants and eateries that thrive during the school year will be greatly affected by the absence of the student body, while one in particular will greatly thrive during the upcoming winter break. 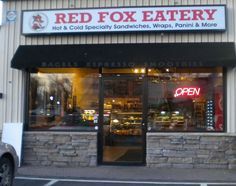 Significantly visited eateries and restaurants around the Poughkeepsie area by Marist College students include places like Campus Deli, Red Fox Eatery, Pleasant Ridge, and Rossi’s Rosticceria. All of these places will have their revenue greatly affected by the absence of the student body during winter break, except for Rossi’s. Rossi’s has deeply rooted itself into the Poughkeepsie and Hudson Valley region so significantly that they have been able to thrive during the times that the students are not at school during the extensive winter break. During winter break Pleasant Ridge closes much earlier during the weekdays and weekends. 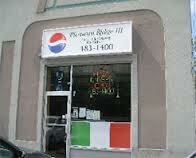 “During the time the students are not in school we get mostly the Poughkeepsie locals in for lunch. That is our primetime. We will open around 11 a.m. and the crowd starts coming in then. Things will slow until 6 o’clock for dinner time, and then we close around 10 p.m.,” says Ventura when describing opening and closing hours. Pleasant Ridge and Campus D eli have both described their revenue decline during the winter months negatively, but to make up for it, they have adjusted opening and closing schedules and order less food to their restaurant. Campus Deli describes their market similar to Pleasant Ridge as they both find themselves mostly catering to the “going-out” crowd during the school year. But, Campus Deli has a better way to make up for their lost revenue, and that is through their one-stop shop strategy. Besides the revenue they make from the Poughkeepsie locals, Swierkosz says, “The majority of our crowd during school breaks consists of the workers from Saint Francis Hospital and other nearby office buildings that are walkable distances.” The quick service, convenient distance, and cheap prices have served as a very marketable strategy for workers who are on a strict schedule. Red Fox Eatery, Pleasant Ridge, and Campus Deli all have different ways of trying to make up for lost revenue in their own fashion, but Rossi’s Rosticceria is one place that does not need to make up for the student absence during the winter break. 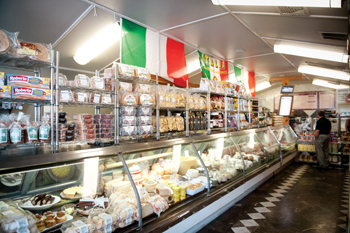 All throughout the Hudson Valley Region, families have Rossi’s cater their holiday festivities. They have established a very strong relationship with the people of this region due to their historic excellence and being one of the oldest restaurants in the area. They started their business in 1979 as an authentic Italian delica tessen, and over the years Rossi’s has grown in notoriety and has become a fixture in the local area. They have a steady stream of loyal white & blue collared workers and neighborhood locals. They have amounted numerous award-winning titles along the years, most notably being selected as “The Best of The Hudson Valley” twice by the Poughkeepsie Journal. It is evident that the student body keeps most of the Marist affiliated eateries and restaurants in business during the school year unless they have established a strong relationship with the local community. However, they all have their own way of keeping their businesses alive until the return of the student body.